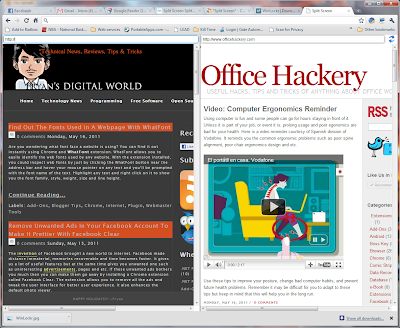 There are situation that you need to view two web pages in the same tab/window at the same time. This is different from switching tab to another tab. 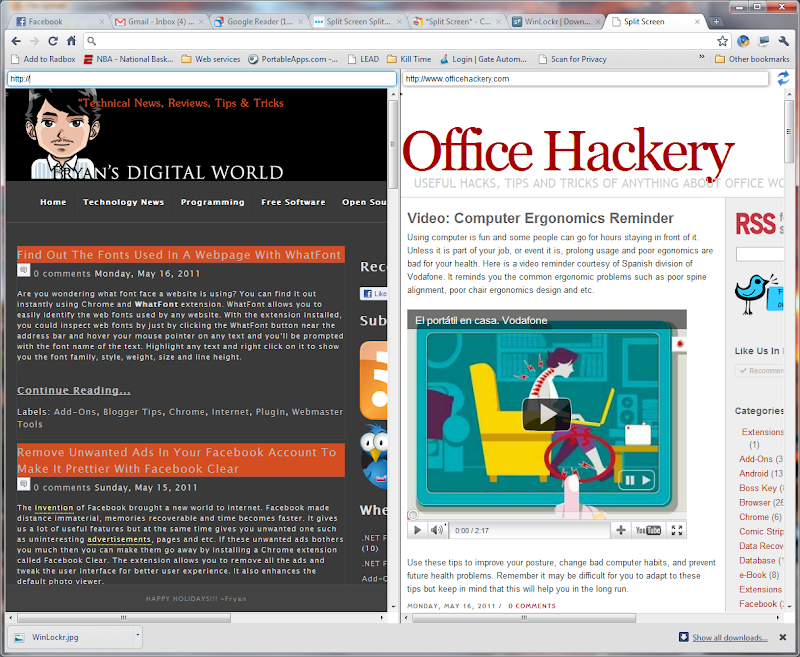 By default you can't split tab/window in Google Chrome but you can do so with the help of Split Screen Extension. Once Split Screen is installed, an icon will be added at the end of the address bar. When you clicked this icon, you'll be presented with a new window that has two sections. Enter the URLs for each window to browse them at the same time as shown below. This extension is great for comparing two websites or surfing internet and watching live streaming at the same time. I tested it on Windows 7 with Chrome 11.0.696.68 version.